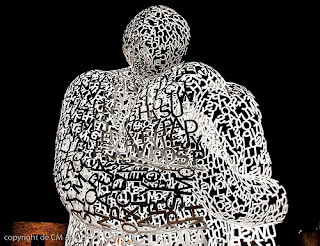 Joyce Wycoff Connecting through Art: Jaume Plensa's "Nomade"
David Leroy, a new Twitter friend as well as story teller and artist, introduced me to Jaume Plensa’s Nomade, a giant statue of a man of letters in Antibes. 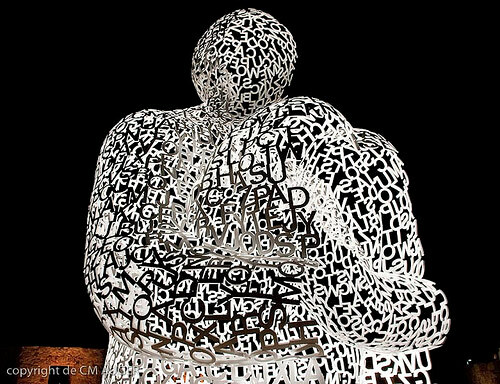 The hollow statue is literally made of letters, a skin of text. It is such an amazing piece of work, I wanted to share it and found a remarkable blog post by Yves Peters with pictures and a video that will give you an up-close experience of it.